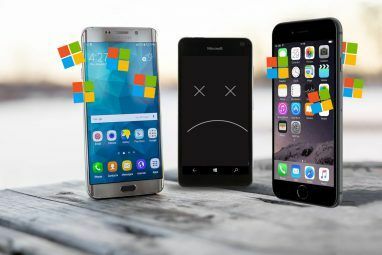 When it was first released in October 2010, Windows Phone was a new mobile platform that looked and felt great, but wasn’t quite firing on all cylinders. 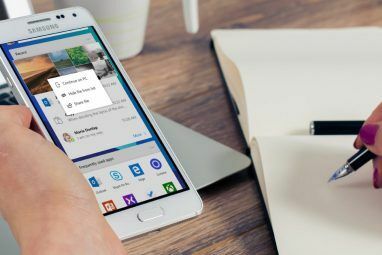 Despite the then current state of the smartphone market, the decision was made to release a mobile operating system that was missing a few key features and APIs. Subsequent updates have overcome these shortcomings, but if your Windows Phone hasn’t been blessed with the NoDo or Mango updates as yet, then you’re clearly missing out on some excellent functionality, such as Xbox Live multiplayer gaming and copy and paste (to name but two). Depending upon where in the world you’re situated, your Windows Phone may or may not be able to download these updates. However don’t worry – there is a way of forcing the update to install on your phone. Updates for Windows Phone are created by the development team at Microsoft, before being distributed to the device manufacturers. At this stage device-specific bugs should be detected and resolved, before the handsets – by HTC, Nokia, LG, Samsung, Dell and others – are shipped to the relevant networks for further testing with branded software. After testing is completed and signed off, the updates are then distributed from Microsoft through the Zune desktop software. This manages the update, creating a backup of the Windows Phone and downloading the new version of the software. It seems pretty straightforward doesn’t it? The problem some users face, however, is that although the updates are supposedly distributed in a logical fashion on a network-by-network basis, some devices seem to be overlooked. 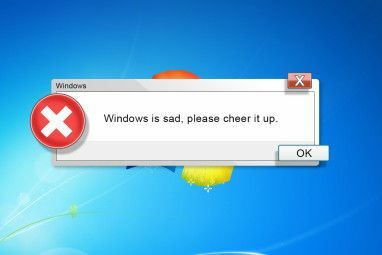 This might be due to a number of factors, such as not regularly checking for updates or having update detection disabled. 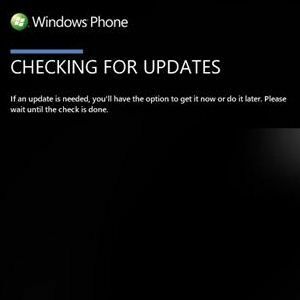 To begin updating your Windows Phone under normal circumstances, you would need to open the Settings > Phone Update screen to check if there are any updates available. Alternatively, connect your phone to your PC and when the Zune desktop client opens, find your way to Settings > Phone > Update. The next step would then be to click the Update Phone button in order to proceed. At this stage a backup of your phone’s data is taken, before the update is downloaded and applied. Any problems with the upgrade can be addressed later – if the update fails then the earlier version and your user data can be restored. So what process is required for updating your Windows Phone when the update isn’t detected? The first thing you must do is check that there is indeed an update due. This is best done by either checking with your mobile carrier/network or using Microsoft’s own Windows Phone webpages. Once this has been done and you have confirmed that there should indeed be an update distributed to your phone, double check that the update isn’t already installed. This is important as new devices should ship with the most recent version of Windows Phone. You can check this by opening Settings > About > More Information, and cross reference the version number with the details listed in the link above. Make sure your phone is connected to your computer, and that the Zune software is running. Go to Settings > Phone > Update and as the check is made, immediately disconnect your computer from the Internet/local network. Wait a minute or so, and notification of an update should appear in Zune. Reconnect your computer to the Internet and proceed to update your phone, following the instructions displayed by the Zune software. This process can be repeated if the only update added is an interim one; the big updates naturally include the most features. Is Forcing the Update Safe? As you can see, forcing an update isn’t dangerous to the device. Microsoft’s updates for Windows Phone are distributed on a network-by-network basis from Microsoft’s own servers, following the initial build and testing that takes place by the networks. What this basically means is that you can bypass the waiting game and force the update, safe in the knowledge that the update is legitimate and suitable for your device and the network that you will be using it on. Let us know in the comments if you have had any experience of forcing an update on your Windows phone and if so, how it went. Explore more about: Windows Mobile, Windows Phone, Windows Phone 7. I can't connect my Lumia 525 WP8 to Zune What should I do. Unfortunately Zune is for Windows Phone 7. This article doesn't apply to Windows Phone 8 or later. Nice post. I was checking continuously this blog and I am impressed! Very helpful information particularly the remaining part :) I deal with such information a lot. I used to be seeking this particular information for a long time. Thanks and good luck. Thanks , I have recently been searching for info about this subject for ages and yours is the best I have found out till now. However, what in regards to the conclusion? Are you positive in regards to the source?|What i do not understood is in fact how you're now not actually much more neatly-liked than you might be right now. You're very intelligent. Forcing an update does work if the update is available, but being slowly rolled out. Great way to jump on the early bandwagon in that case.